Learn more about the top ten reasons why many millions of tourists from all over the world visit South Africa as their dream destination each year, finding it one of the most beautiful and exhilarating countries in the world. Its stunning combinations of people and landscapes, history and culture, have made it the once in a lifetime experience for millions of tourists and travelers. 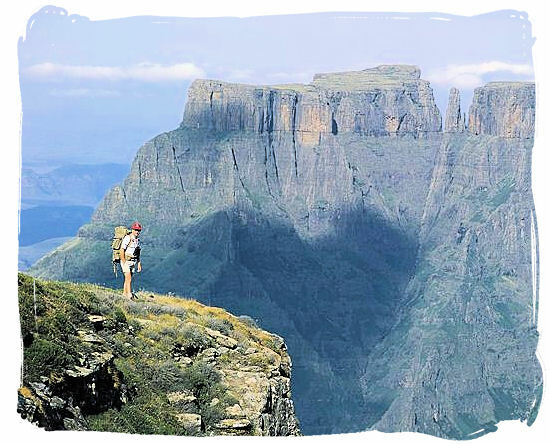 As a comparatively easy on the pocket and affordable tourist hot spot, this undeniably stunning country at the southern tip of the dark and mystifying African continent, will provide you with a once-in-a-lifetime experience. 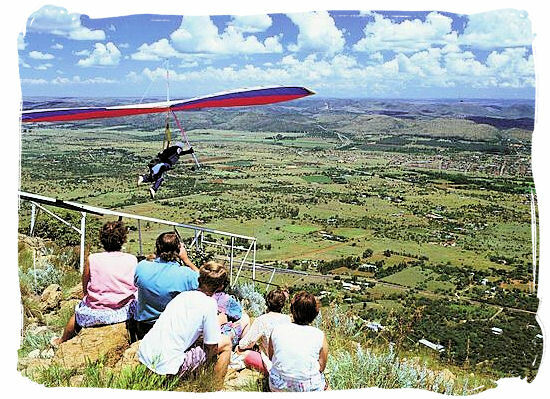 For the sportsman and the adventurer South Africa with its great climate offers an enormous variety of activities such as hiking, mountaineering, scuba diving, white-water rafting, sailing, canoeing, parachuting, ballooning, windsurfing, 4x4 safari adventure trips and many more. From hair-raising abseiling adventures off Table Mountain and nerve shattering Great White shark diving experiences to sipping cocktails with wild lions roaring, you name it, we have got it. From a budget point of view South Africa is very much affordable and easy on your pocket with an exchange rate that is very advantageous to foreign visitors. The ratio average of the cost of living in relation to average income is also relatively low compared to Europe and the United States. The banking and financial sector in South Africa measures up with the best in the World, allowing you to do your banking by ATM or Internet and to use your Master and Visa card virtually everywhere. The large diversity of South Africa's landscapes shows up in the wide variety of completely different scenery, that will satisfy most people's tastes and preferences. Fabulous forests, fields of stunningly beautiful flowers, monumental mountains, spectacular panoramas and a wide and untamed seaboard, to name but a few. Breathtaking splendour as far as the eye can see. 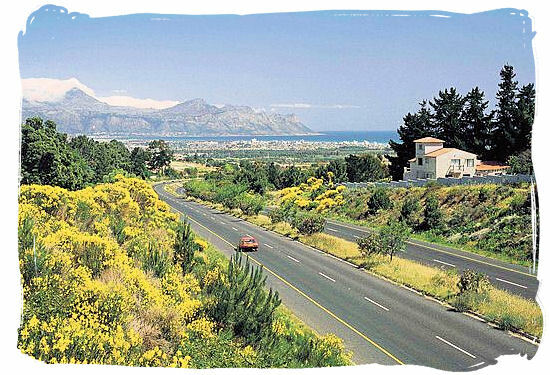 Regardless of whether you prefer to track the Big Five, swim in the blue waters of the Indian ocean, take in the culture and history of our "Rainbow Nation", hike in the mountains or along the coast, savor good wine and food, see wild flowers in profusion or simply just lazing around in the sun, you will encounter spectacular scenic surroundings everywhere. With summer temperatures averaging between 20 and 35 degrees Celsius, South Africa falls in the top ten countries worldwide when one compares the average number of sunny days per annum. Its clear blue sky, abundance of sunny days and temperate climate will ensure that you can enjoy the beaches throughout the year. Situated in the southern hemisphere, South Africa's seasons are the opposite of those in the northern hemisphere. Ideal for those living on the northern half of our Globe to flee from the winter cold in the north and come and embrace the delightfully warm sunshine in the south every once in a while. Change is as good as a new beginning and in the start of the ending of Apartheid, the new South Africa was truly a nation in a state of excitement and rebirth. Within a short period of time South Africa changed into a dynamic and modern multi-party democratic state. All its inhabitants enjoy freedom, protection and full democratic rights by one of the world's most progressive and liberal constitutions. There is a great atmosphere of development, progress and energy throughout the country. For South Africa it is both a challenging and stimulating period. For the visitor it is a great opportunity to observe the country's transformation first hand. Come and visit us and experience history while it's made. South Africa has a great history of wine-making. Over centuries the country has developed its viticulture to compare with the best in the world. This has put South Africa in the top of world renowned producers of top-class wine. It also offers a unique and extraordinary range of local and international cuisines readily available in hotels and restaurants. As part of your culinary adventures you might like to try one of the traditional cuisines of the different cultures in the country. Imagine sitting around a fire in an open-air boma at one of the game lodges in the African bushveld with lions roaring in the distance and the delicious aroma of a traditional African barbecue dinner delightfully caressing your palate. The 2010 Football world cup event hosted by South Africa, has shown the world that South Africa has a highly developed and modern infrastructure accompanied by up to date facilities and services, comparing with the best in the world. This together with the unspoiled natural beauty of the exotic continent that is Africa, will offer the foreign tourist and holiday maker all the convenience he may wish for. Well-advanced transportation and road structures together with first-rate telecommunication and accommodation facilities ensure that visitors will enjoy their stay in comfort. 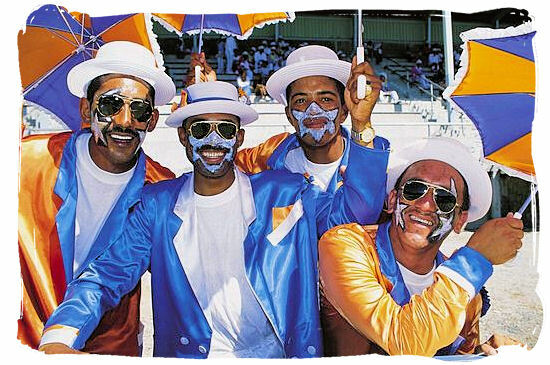 Describing themselves as a multi-cultural "Rainbow" society, South Africa's people are warm-hearted and amiable. A visitor taking a walk in a street full of activity can be sure to come across a colorful mix of People, from blanketed and beaded Zulus and modest Islamic matrons to fashionable socialites and sophisticated business people. A vibrant combination of modern ways and ancient customs, South Africa's society has been formed right through its history by large arrays of people who came to see and decided to settle. 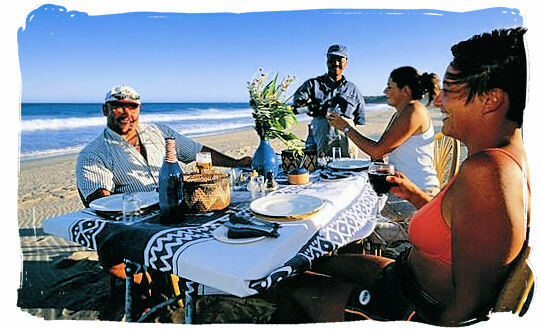 You should come and visit to explore the colorful diversity of the South African social composition for yourself. South Africa boasts some of the greatest game-viewing opportunities in the world and the chance to observe the Big Five (Buffalo, Elephant, Rhino, Lion and Leopard) in their natural habitat is hard to ignore. 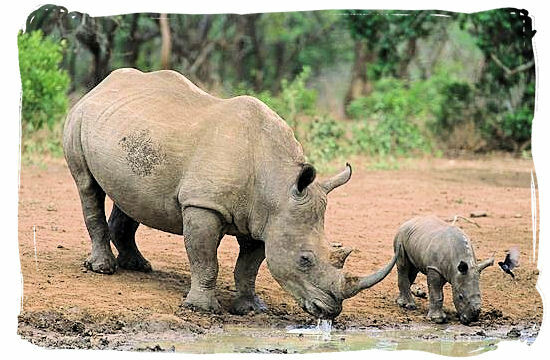 The Big Five together with a wide range of other wildlife species can be found in more than 20 national wildlife reserves an numerous private game parks. 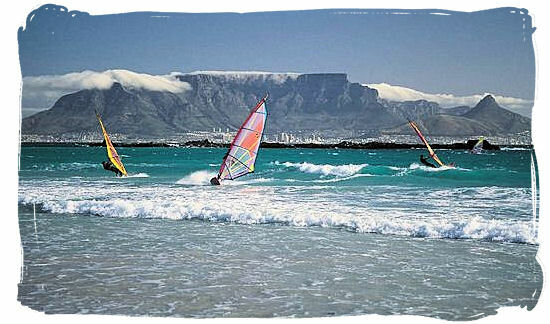 Situated in the Western Cape, Table Mountain is undoubtedly one of the top tourist highlights of South Africa. Considered by many as one of the "must-have-seen" sightseeing experiences in today's world, it was recently chosen by the Internet community as one of the seven wonders of nature worldwide. 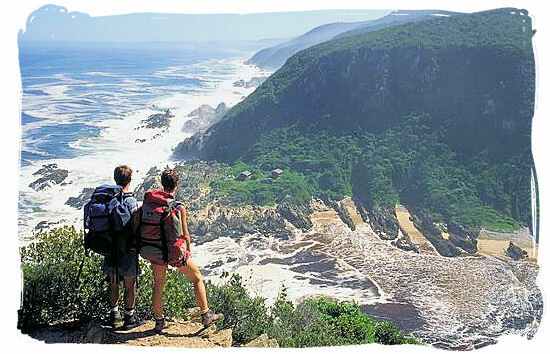 But apart from Table Mountain, South Africa has many more natural wonders to offer, which are equally as breathtaking. These include The Cape Fynbos Floral Kingdom, The Wild Coast, The Kruger National Park, The Wild Flowers of Namaqualand, and the Drakensberg Mountain Range to name but a few. Archeological sites with fossilized evidence of the earliest humanoids and an invaluable legacy of cave and rock art left to us by the San people are a few examples of many world renowned attractions to be found in South Africa. 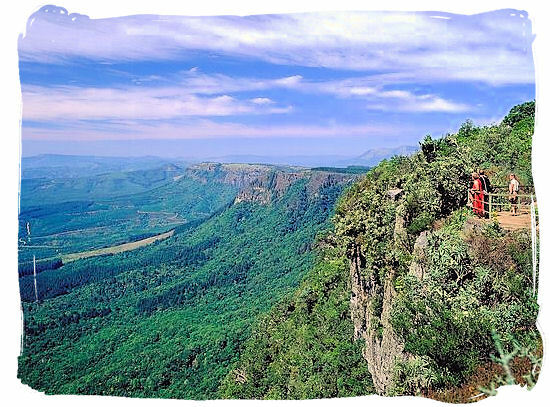 Join us on a journey visiting the milestones of South Africa's amazing and dramatic history. It all started at the Cradle of Humankind, a complex of caves near Johannesburg where fossilized remains of "Australopithecus Africanus", one of the earliest ancestors of the human race, was found. They used to live here 3 million years ago. 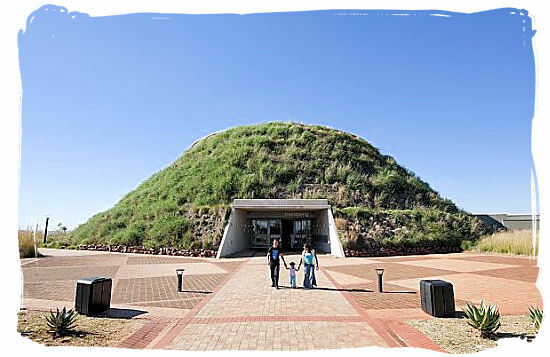 From there our journey takes us to the first known human inhabitants of South Africa, the "San" and the "Khoi" people. They were the people the first European colonists came upon when they landed on the country's shores. Our journey continues, taking us past the colonization period, the Dutch and British occupation, the great trek of the Voortrekkers, the devastating Mfecane, Boer Anglo and Zulu wars and past the awful period of Apartheid to our present day's modern and free democracy. The location of South Africa is easily found. View a map of the African continent, pinpoint its most southern tip at the confluence of the Indian and Atlantic oceans and you are looking at the southern most point of South Africa. The land area of the country amounts to 1,219,090 sq km (460,693 sq mi). South Africa has a population of 51,770,560 people according to the 2011 census, a figure that consists of the following ethnic groups: 79,2% Black, 8,9% White, 2,5% Indian and others 0,5%. Its constitution recognizes 11 official languages, IsiZulu, IsiXhosa, IsiNdebele, Siswati, Sepedi, Sesotho, Setswana, Tshivenda, Xitsonga, Afrikaans and English as the overall common language. The country is divided into nine provinces, Gauteng, KwaZulu-Natal, Limpopo, Mpumalanga, North-West, Northern Cape, Western cape, Eastern Cape and Free State. There are three capital cities: Pretoria as the administrative capital situated in the Gauteng province, Cape Town as the legislative capital situated in the Western Cape province and Bloemfontein as the judicial capital situated in the Free State province. 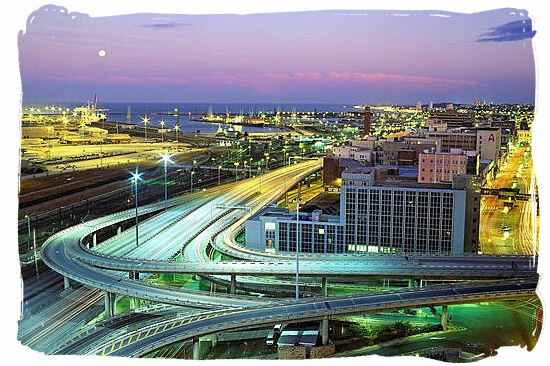 Come visit South Africa, discover and explore its truly breathtaking scenery, amazing wildlife, and vibrant cities. This short video is an excellent illustration of why South Africa is a dream destination for millions of tourists worldwide. A fantastic climate with glorious sunshine all year round, a wide variety of incredible scenery, stunning African wildlife and many more, are all attractions that are hard to beat by any tourist destination.